Clifford Holmes, Jr., a native Floridian, moved to Warner Robins from Jacksonville, Florida, in August 1967 to begin a teaching career in Georgia. Councilman Holmes began his teaching career in Georgia at Pearl Stephens High School as an Industrial Arts teacher. This career has seen Councilman Holmes move to several schools in the system as a teacher, assistant principal, principal, Supervisor of Vocational Education, Coordinator for Vocational Education, Director of Vocational Education, Assistant-to-Superintendent of Schools and Executive Director for Career, Technical and Agricultural Education. From 1978 to 1980, Councilman Holmes worked in Atlanta, Georgia at the Georgia Department of Education where he served as State Advisor to the Georgia Industrial Arts Clubs (GAIAC) and Consultant in the Vocational Education Department, Industrial Arts Division. Along with a career in education, Councilman Holmes served as a Warner Robins Auxiliary Policeman from 1972 to 1978. Councilman Holmes is married to Rosa a Retired Educator, and they have two children Darryl (Shelley) and La Tonya and two grandchildren Traci and Darius. He is a member of the Warner Robins Christian Methodist Episcopal Church and has served as treasurer of the Steward Board and Director of the Evangelical Choir. In the community Councilman Holmes presently serves as Chairman of the Middle Georgia Workforce Investment Consortium Youth Council, former Co-Chair of the Middle Georgia Tech Prep Consortium, former member and Chairman of Houston County Kid's Journey and former member and Vice Chairman of the Warner Robins Housing Authority. Holmes also served eight years as a member of the Houston County Hospital Authority. At the state level, Councilman Holmes served as Chairperson for the Georgia Association for Career and Technical and Agricultural Education Association (GACTE), six years on the Board of Directors for the Georgia Association of Educators (GAE) as Administrator-at-Large and three years as Chairperson of the Administrator Concerns Committee for the National Education Association (NEA). 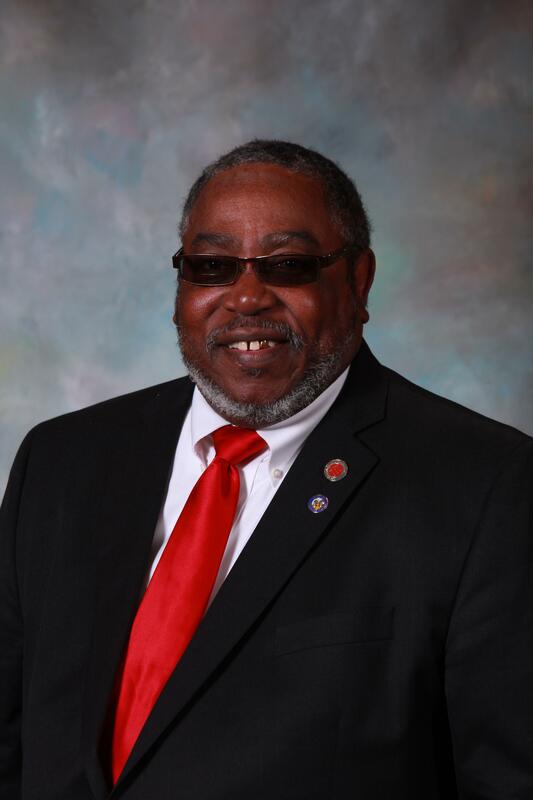 In June of 2003, Councilman Holmes retired from the Houston County School System as a full­ time employee but remained in a part-time position as Executive Director for Career, Technical and Agricultural Education. In January 2006, Clifford Holmes, Jr., began his political career as City Councilman representing all constituents in Post 5 and the City of Warner Robins. It was during Councilman Holmes first year that he was appointed by Mayor and ratified by Council to serve on the Board of Directors of the Middle Georgia Regional Development Center (RDC) representing the Mayor and City of Warner Robins. In 2007, Councilman Holmes was elected and continued to serve on the Executive Committee for the Middle Georgia RDC Board of Directors. In January 2008, Councilman Holmes was nominated by Mayor Donald S. Walker and unanimously approved by Council to serve as Mayor Pro Tem. Councilman Holmes reentered the education arena on a part-time basis as Assistant Principal at Pearl Stephens Elementary during the 2006 -2007 school year, Assistant Principal at Northside High School for the 2007 -2008 school year and began the 2008 -2009 school year as Assistant Principal at Westside Elementary School a position held until being voted by the Warner Robins City Council to serve as Acting Mayor after the Mayor stepped down for medical reasons. Councilman Holmes served as Acting Mayor from September 2, 2008 until November 11, 2008, when Mayor Walker returned. In 2009, Councilman Holmes ran unsuccessful for Mayor. After sitting out for four years, in August, 2013, Clifford Holmes qualified and ran for City Council against two opponents and was successful in winning outright the race to represent Post 5. On January 6, 2014 Clifford Holmes, Jr., was sworn in and seated as City Councilman for Post 5.